No Waterproof,easy To Clean And Machine Washable,a Must-have Tool/everyday Essentials In Every Kitchen,these Definitely Make A Great Hostess,Housewarming,Christmas Gift Or Even For A Bridal Shower. 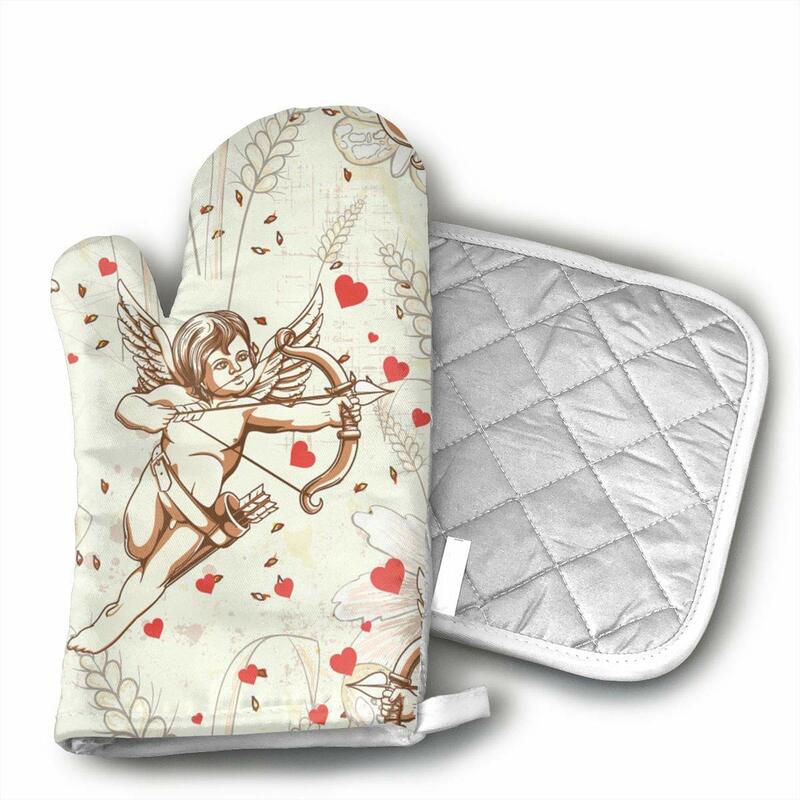 Commercial Grade Heat Resistant Oven Mitts(up To 500 Degree F),protecting Hand And Forearm From Hot Dish,microwave Oven Racks Or Off The Stove When Indoor/outdoor BBQ Grilling From High Temperature. The First Layer Is Insulated With Silicone On This Oven Mitten Surface, The Second Layer Is Insulated With Inner Filled Cotton, And The Third Layer Is Insulated With Gloves For The Interior Of The Oxford Cloth.